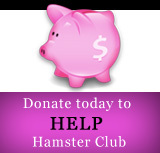 Bars may be great places to be for adults, but I’m sure they’d be a whole lot better if the bartenders were hamsters. And that’s exactly the world that Twitter user Kawanabesatou imagines when he comes home from his job as a graveyard caretaker – he photographs his pet hamsters as they tend the tiny bars he’s built for them. We have no idea why these hamsters spend so much time in bars, but they are surprisingly well-done given their size. There are also bookstores and even a gravestone storefront in the mix as well. There’s an entire industry dedicated to miniscule food and drinks that can be placed in tiny models or doll houses. So if you’ve ever wanted to see a hamster eating sushi or having a beer, I guess you can cross that off your bucket list. 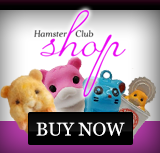 Click the above link to view more pictures of these cute little hamsters.